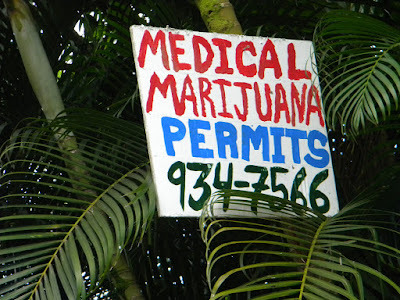 Hawaii patients may have easier access to medical marijuana now that nurses can certify them for the drug. Advocates say the change was needed because there’s a shortage of doctors willing to certify patients. Associated Press. Gov. David Ige signed House Bill 2707 into law Monday. The measure allows for greater access by allowing registered nurses to certify patients for medical marijuana use. KITV. Proponents are giving new updates to Hawaii’s medical marijuana dispensary law an “A” grade, but plan to lobby for more changes in the future. On Monday, Gov. David Ige signed House Bill 2707, an omnibus bill that aims to tie up loose ends in current dispensary law and increase access for patients. Tribune-Herald. 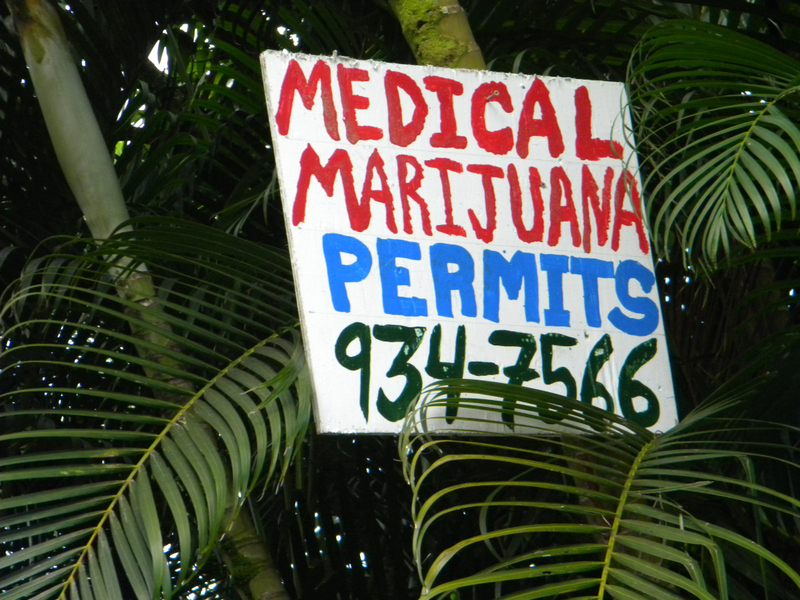 Before Hawai‘i cannabis can hit the market, it will have to be tested. HPR’s Molly Solomon visited one lab that’s hoping to be the state’s first. Hawaii Public Radio. A new study says large majorities of people surveyed online in Hawaii (76 percent) and California (72 percent) support physician-assisted death. Civil Beat. The Chairman of the Public Utilities Commission is calling for a state Attorney General investigation into what he says is a "smear" campaign against interim PUC commissioner Tom Gorak. Hawaii News Now. The Governor hosted an Education Summit over the weekend with more than one-thousand teachers, parents, students and policy makers in attendance. Hawaii Public Radio. The state Office of Elections and county clerks will hold drive-thru voter registration Wednesday and Thursday, the deadline to register for the Aug. 13 primary. Star-Advertiser. Family and general practitioners have the highest average annual salaries in Hawaii at $228,220, according to a top-100 list by Zippia, a career resource website that culled its data from the May 2015 occupational employment and wage estimates from the federal Bureau of Labor Statistics. Star-Advertiser. Solar applicants on Maui are pushing the limit, while Oahu and Big Island are well past the halfway point for the capacity for residential solar systems that can export excess power to the grid and receive credit. Star-Advertiser. Why Everyone Wanted To Work For Hawaiian Electric. With a devastating war behind it, Hawaii embraced the promise of a bright future. And it needed HECO more than ever. Civil Beat. Two environmental groups support holding public meetings on Kauai and Oahu to discuss two proposals to put floating wind turbines in a channel that separates the two islands. Pacific Business News. The Honolulu Charter Commission, at a busy meeting Thursday, nixed a plan to give city planners more leeway in issuing zoning variances and advanced a proposal requiring all nonprofit groups to be vetted before being allowed to get taxpayer grant money. Star-Advertiser. Electricity was restored Monday afternoon to most areas of Oahu Community Correctional Center, the state’s largest jail, following an outage that began Friday afternoon. Star-Advertiser. The Oahu Community Correctional Center continued to experience electrical problems Monday, three days after the issue first began. Hawaii News Now. The director of the City and County’s Emergency Medical Services says he is looking at possibly changing the department’s 12-hour shifts or making other shift changes to alleviate the staffing shortages. KHON2. The smell of urine emanated from the sidewalks of Iwilei on Monday as the city’s homeless enforcement team returned to once again break down makeshift shelters built out of cardboard, tarps and wooden pallets — one of hundreds of sweeps that have taken place since the cleanup crew was created more than three years ago. Star-Advertiser. The primary race for the state House District 44 seat, which includes Maili, Waianae, Makaha and Makua, pits two familiar faces against each other on the Democratic side and two newcomers on the Republican end. Star-Advertiser. Time is running out if you want a say in who’s going to be the next mayor, or who will fill any number of federal, state and local seats up for grabs on the primary election ballot. West Hawaii Today. The candidates for Hawaii County Prosecuting Attorney spent an hour on Saturday fielding questions from Puna’s members of the Hawaii County Democratic Party. Big Island Video News. The Hawaii Public Utilities Commission has announced two public meetings to discuss an application filed by Young Brothers, Ltd., an interisland shipping company, for approval of a general rate increase. West Hawaii Today. Gov. David Ige on Monday vetoed a bill that would provide extra severance and retirement bonuses for workers affected by the privatization of Maui County hospitals. At the same time, he offered up an amended and less costly version of the measure for the Legislature’s consideration. Star-Advertiser. The former Maui film commissioner has filed a wrongful termination suit against the island’s mayor, accusing the mayor of firing him in 2013 at the request of Relativity CEO Ryan Kavanaugh, a longtime friend and booster of the mayor. Maui Watch. The Maui Police Department launched a feasibility study on Friday, July 8, 2016, on the use of the VIEVU body-worn camera. Maui Now. The construction of two portable classrooms to ease overcrowding at Makawao Elementary School is expected to begin in October, said state Sen. J. Kalani English, who represents the district. Maui News. State Sen. Michelle Kidani, chairwoman of the Senate Education Committee, has organized a town hall meeting on the new federal education legislation, the Every Student Succeeds Act, for Maui from 5 to 7 p.m. Tuesday in the Baldwin High Auditorium. Maui News. The range and range operations center at the Pacific Missile Range Facility at Barking Sands will be named in honor of Daniel Inouye, the late Democratic U.S. senator from Hawaii. Pacific Business News. The Kauai Island Utility Cooperative is in the process of renewing its Endangered Species Act Incidental Take Permit, and an upcoming meeting on the subject is designed to bring the public up to speed. Garden Island. Councilman Ross Kagawa wants to talk dogs and trees when the Kauai County Council meets in committee Wednesday. Garden Island.